On Monday, March 21st, Apple announced its long-rumored smaller iPhone, the iPhone SE, during a special event held in Cupertino, California. Although the iPhone SE is smaller than the iPhone 6s, and cheaper as well, the SE is as powerful at the iPhone 6s. To put it at the simplest form, the iPhone SE is basically an iPhone 6s in an iPhone 5s shell. This phone is designed for those that do not like phones with big screen. 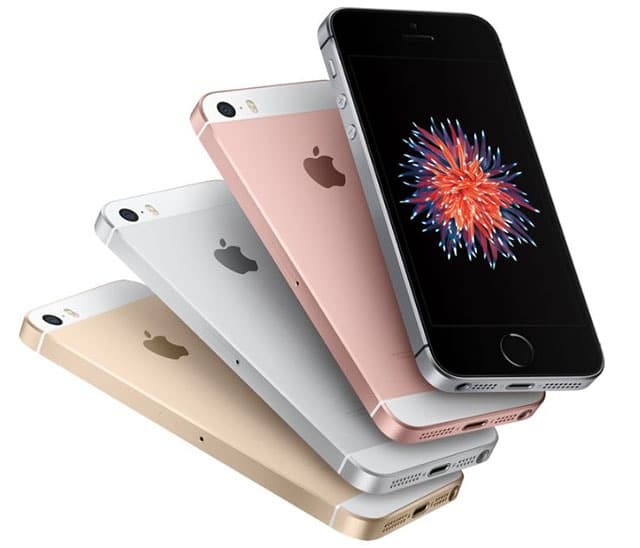 Like the iPhone 6s, the iPhone SE features a 64-bit A9 processor with an embedded M9 motion coprocessor. Given this processor, this is one of the main reason why the SE is not just an iPhone 5s. Apple claims that with the A9 chip, the iPhone SE performs twice as fast as the iPhone 5s. As for the camera, the SE features the same iSight camera found in the iPhone 6s: a 12‑megapixel iSight camera with 1.22µ pixels. This camera allows users to capture 4K videos and photos. For international users, the 6s is still a better choice. While the iPhone 6s supports up to 23 LTE bands, the SE only supports 19 LTE bands. The iPhone SE will be sold in four different colors including Silver, Space Gray, Gold, and Rose Gold. Unlike the iPhone 6s, the SE will only be available with 16GB and 64GB of storage. The device will be offered for free on carriers that still offer the two-year contract, while Apple will sell the SIM-free unlocked version for $399 (16GB) and $499 (64GB). Apple will begin taking order for this device on 24th of this month.